Another triumph courtesy of Washington's Foreign Aid Program. His father had a much better idea: Since foreign aid is immoral, illegal, and unconstitutional, all of it should be ended immediately. 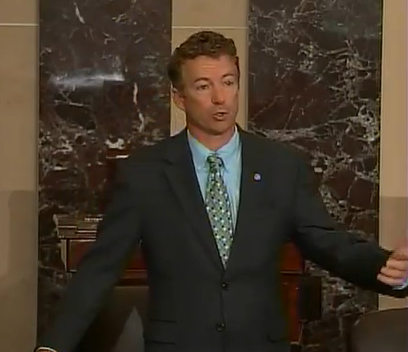 In a September 13 floor speech, Senator Paul addressed criticism from South Carolina Republican Senator Lindsey Graham that cutting off subsidies would be tantamount to reckless disengagement from Pakistan, which has a nuclear arsenal. 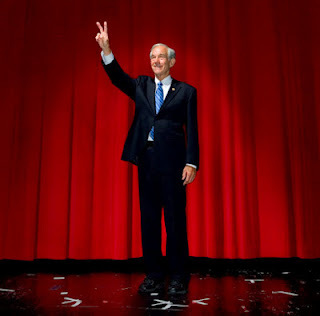 What the senator describes could be called the Timon of Athens Doctrine of International Diplomacy, named after the tragic Shakespearean character who bankrupted himself in any attempt to purchase the superficial friendship of cynical people. He failed to explain why “we” (meaning the government that impudently presumes to act in our name) should be sending borrowed money to ruling elites in any foreign country – whether Pakistan, Egypt, Libya, Jordan, or Israel. 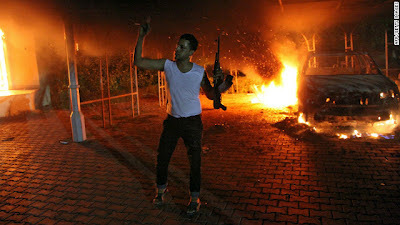 “My position is not one penny more for Libya or Egypt or Pakistan until they act like our allies,” Paul summarized. “Some say we’ve got to keep sending it. Fine. Let’s send it when they act like our allies. Let send it when they start behaving like civilized nations and come to their senses” – that is, when their rulers dutifully display the purchased “loyalty” Washington expects from its satraps. In the meantime, insists Senator Paul – the supposed champion of austerity and paladin of constitutionalism – the borrowed money not sent to Islamabad or Tripoli should be used to “triple the size of the veterans jobs bill.” Nothing in the (admittedly flawed and inadequate) United States Constitution authorizes a federal “jobs” program of any kind. This is something Rand Paul should have learned at the dinner table. I believe that this intellectual delinquency reflects the willful foolishness of the pupil, rather than an inadequacy on the part of the teacher. Nothing of substance will come of Senator Paul’s proposed amendment. His posture on this subject – in essence, he’s proposing to “mend, not end” an entitlement program -- displays a gift for political “triangulation” that is “Clintonesque.” The rhetorically invigorating way he has presented a completely empty proposal could properly be described as “Reaganesque.” Neither of those adjectives is intended as a compliment. According to Glenn Beck, the War Party’s Pagliaccio, Rand Paul is “the libertarian of my dreams.” Kentucky’s junior senator has made his peace with the Empire, and is willing to offer the pinch of incense that his irritatingly principled father withheld. He is likewise willing to mouth the kinds of prescribed imperial pieties – about foreign aid and foreign policy in general – that his father wouldn’t have uttered with a gun to his head. Foreign aid, Rand’s father liked to point out, consists of stealing money from poor people in the United States and lavishing it on politically-connected wealthy elites abroad. It is one of the Empire’s most important instruments of international social engineering. This was explained to me by former World Bank chief Barber Conable during the 1995 International Development Conference in Washington, D.C. – an event that gathered thousands of lobbyists on behalf of the parasitic interests that benefit from foreign aid. Taking what proved to be entirely unwarranted alarm over the "Contract With America" -era Republican takeover of Congress, the foreign aid lobby was concerned that the subsidies would dry up. In one of the event’s most important speeches, Conable assured them that the GOP would abide by the “bipartisan foreign policy consensus” and preserve foreign aid. Following Conable’s speech, I handed him my business card and asked him a question: Since the Constitution doesn’t authorize the federal government to take tax dollars from American citizens and disburse them as foreign aid, how can the practice be justified? Conable dismissed the constitutional argument as “specious.” Foreign aid is justified, he explained, because it “has to do with our position in the world. There are all kinds of ways of dealing with the problems of our relationships with the rest of the world. One is to do it the most extreme way, using national defense as your ultimate weapon. Of course, the other way is to find ways of anticipating that, and avoiding the necessity of it" through the use of foreign aid. “So what you’re telling me is that we have the choice of either bribing them, or bombing them,” I said in search of clarification. Conable treated me to a disdainful smirk and directed his attention elsewhere. 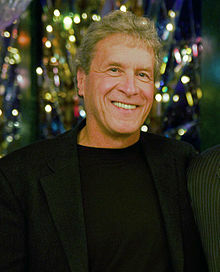 The “Bribe ‘em or Bomb ‘em” formula is set out with more detail in John Perkins’s controversial book Confessions of an Economic Hit Man, in which the author recounted the role played by the World Bank in what he described as a global loan-sharking scheme. 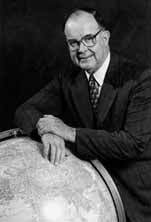 Covertly recruited as an intelligence asset in the late 1960s, Perkins was dispatched to various countries, including Indonesia and Panama, to help induce their ruling elites to take out huge World Bank loans to fund mammoth infrastructure programs. In essence, he working the same scam – on a global scale – that was used by debt-peddlers during the real estate bubble: Offering extravagant loans, on what appeared to be concessionary terms, to people with a very high time preference and little interest in reading the fine print. According to Perkins, he was just one Economic Hit Man (EHM) among thousands plying the same trade worldwide. installation of military bases, or access to precious resources. Of course, the debtor still owes us money -- and another country is added to our global empire." Economic Hit Men aren’t the only weapons in the Power Elite's arsenal. time to send out the bombers. "When the Jackals fail," Perkins warns, "young Americans are sent in to kill and die." That formula was followed precisely in Iraq and Libya during the past decade. On the pretense of fighting the “war on terror,” or carrying out a “responsibility to protect,” despots who were once considered dutiful, check-cashing “allies” were removed, wars were fomented, and the countries they had ruled were bathed in blood. The use of money to foment war and hatred is another element of the Timon of Athens doctrine. 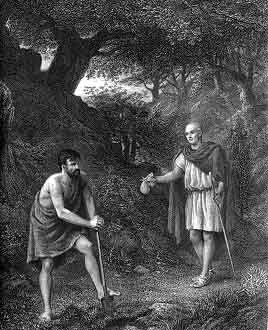 In the play, Timon – after exhausting his fortune – declares himself a misanthrope and retreats into the wilderness, where he finds a huge treasure. Word of this discovery is carried to Athens, which is riven with factional strife because of the banishment of a popular general named Alcibiades. Timon is pestered by the exiled general, several prostitutes, and by emissaries from the Athenian assembly, all of whom are seeking access to his treasure. Desiring only to be left alone, Timon does the one thing he knows will inflict death and terror on the city he has come to despise: He gives away his entire treasure by funding both sides of the impending civil war -- and also lavishing a bounty on the prostitutes to spread disease through the city. Were he alive today, Timon would make a splendid Secretary of State – or CIA Director. Or he might find himself among the Party-provided image-molders and message-massagers who advise Rand Paul. As his father explained – at no small personal cost -- the state terrorism practiced by the U.S. government over the past ten years has done nothing to make us safer. There is nothing about that policy that deserves the respect of decent people anywhere. It is a screaming pity that the moral courage displayed by Rand Paul’s father appears to have skipped a generation. Don't miss the most recent Pro Libertate Podcast. I appreciate you keeping an eye on this traitor from within. In some ways he is more dangerous than the devils that we know. difference between the House and the Senate. support of his entire State. policy, Senator Paul is limited to a collateral tact. to the practical absurdity of the policy. is veiled by ulterior motive. Graham deserves my support, and sympathy. Great article! I especially liked the part that described how the New World Order is used to keep nations in line. Will, I never read the Timon play but I believe you do him a grievous disservice by claiming he'd make a good CIA director or Secretary of State. Here was a man wishing to be left alone and yet the worldly "whores" hounded him to no end. So he gives them what they want but not in the way they wanted! Good for him. He should be praised for waking up to what it all means and giving his tormentors their due. $4 billion is a pittance. The Federal Reserve hides that much from the government EACH DAY from the auctions of Treasury securities. Ref. FEDERAL RESERVE HEIST, www.scribd.com/doc/101937790 . Foreign aid is earmarked to buy US weapons. People think this is to buy food or otherwise help. This is not the case. When addressing foreign aid this fact needs to be included. It seems like so many Ron supporters dont understand the game Rand is playing. I think we need to just trust him, let him play his game and hopefully he can use any power he gains from it to make some real changes. I trust Rand. Maybe I am a sucker but I believe he has very similar veiws to his father even if his voting record and words dont seem to always line up. I believe he is just playing politics to gain more support from voters and colleuges which he will use to make some real change. His father woke a lot of us up and lead a very principled and honorable career. Maybe Rands role is different. Maybe he is taking advantage of his fathers success to get elected and get some attention which he can in turn use to gain more support and power to make a real difference. How much difference did Ron make in DC? Not much but he got a lot of people interested in liberty. Maybe Rand can play politics and tickle the ears of voters for a few years then maybe even get elected president and show his true colors which I believe are probably almost identical to his fathers. Maybe I am dreamer and Rand is a fraud. that are not lienable. Inalienable rights are Rights from the corporate government that can be liened against or taken away at any time. Very much like a 'privilege'. Just thought you should know. When an individual pays someone to be their friend, let's say a woman, for the evening it's called one thing. When a nation does it it's called "Foreign Aid"
Military aid is given in weapons and ammunition not money. In the 1980s I was in central Ammerica training our dictators armies and fighting the communists. All aid including the $1,000,000 spent in EL Salvador was guns and ammo. We had American rifles, Machine guns, mortars, and even snioer rifles from the US. I unpacked new from the factory M-16s while we had 20 year old weapons. But it worked-we stopped them cold and later the politians gave it all away so now the countries are full of narco thugs and kidnappers and the leaders are getting handouts from the US. All foreign aid should end yesterday. And as for the mealy-mouthed and whiny Randall, suffice it to say that intellectually and morally, Paul fils isn't a figment of a fragment of a sliver of a slice of the man his father is. I used to think that the Liberty Movement was composed of people who were clear thinking and intelligent. I find it very disconcerting to see how many people still have faith in Rand Paul. This faith seems to be based on some secret information that leads his adherents to believe that Rand Paul will, despite all observable evidence to the contrary, miraculously transform into his father when the right moment arrives. If Rand continues on his present course in a few years he will be going on ski weekends with Lindsey Graham's family. I don't know of anyone who has gone down the dishonorable road he has taken and returned with their integrity intact. People have this preconceived notion that Rand is a libertarian, when in fact he has stated numerous times that he considers himself a "Constitutional Conservative". No one can fill Ron Paul's shoes, or be expected to. It would be good for people to cut the man some slack and appreciate what it is he is trying to do as the junior Senator from Kentucky. He's still a far cry better than most of that bunch in congress' "Upper Body".